As someone who has been a fan of the small, nobbly bricked, Danish construction toy for as long as I can remember, I was really hoping I wouldn’t be disappointed when they announced they were making a full length LEGO Movie. Thankfully, I wasn’t. It’s gloriously wonderful. The story opens, as many great tales do, with a prophecy. Vitruvius (with the unmistakable voice of Morgan Freeman) tells of ‘The Special’. A man that will defeat the evil, order obsessed, Lord Business (Will Ferrell), by finding the ‘Piece of Resistance’ and stopping the tyrant from using his super-weapon know as the ‘Kragle’. And so we meet Emmet (Chris Pratt), a lowly construction worker, who’s happily going about his day in LEGO City, and following all the instructions laid down by ‘President’ Business, when he stumbles upon Wyldstyle (Elizabeth Banks) at his construction site, and his life slips from order to chaotic hijinks faster than you can stick 2 LEGO bricks together! The story is incredibly fast paced, but packed with laughs for kids and adults alike. 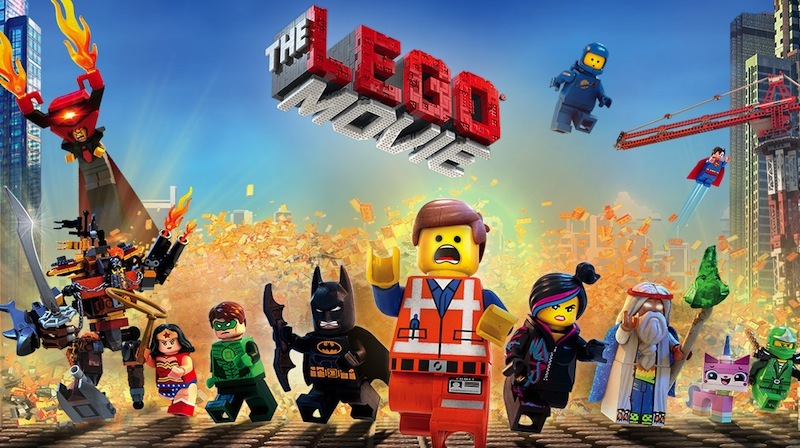 As you’d expect with a LEGO movie, the animation is bright, but beautifully put together. The attention to detail is just stunning, even down to the fact the retro 80’s LEGO spaceman character has that little break in the chin of his helmet, which always seemed to happen because the plastic was too thin. As Emmet and Wyldstyle hop through the different LEGO worlds, being chased by Liam Neeson’s Bad Cop, they meet various other colourful characters, including the epic (and somewhat dickish) Batman (Will Arnett), who help them to bring together the Master Builders, reach Lord Business’s tower, and stop him releasing the ‘Kragle’. What I loved about the film is it really does feel like being inside the mind of a kid with a wild imagination as he’s playing with an unlimited pile of LEGO. Writers/directors Lord and Miller do a great job showcasing the joy of that the toy has bought generation after generation of kids (and big kids) over the years, with a brilliantly funny script and some stunning animation, and without coming off like a movie length advert. As the song says… Everything is awesome. The LEGO Movie is OUT NOW on digital download, [amazon_link id=”B00EXPOE5U” target=”_blank” ]Blu-ray[/amazon_link], [amazon_link id=”B00EXPOEGO” target=”_blank” ]Blu-ray 3D[/amazon_link] and [amazon_link id=”B00EXPODSS” target=”_blank” ]DVD[/amazon_link]! 10/10 – Everything is indeed awesome. ← Competition: Win a copy of Nordic crime thriller Northwest on iTunes!